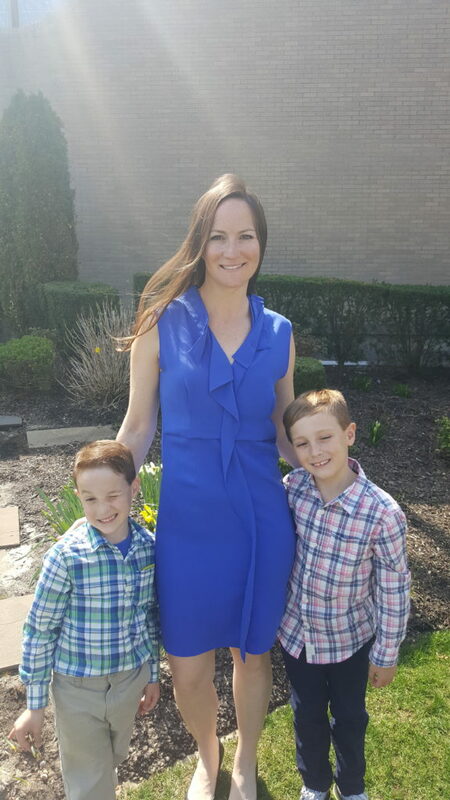 As a mom to two young boys, any woman would find their days filled with plenty of activity. 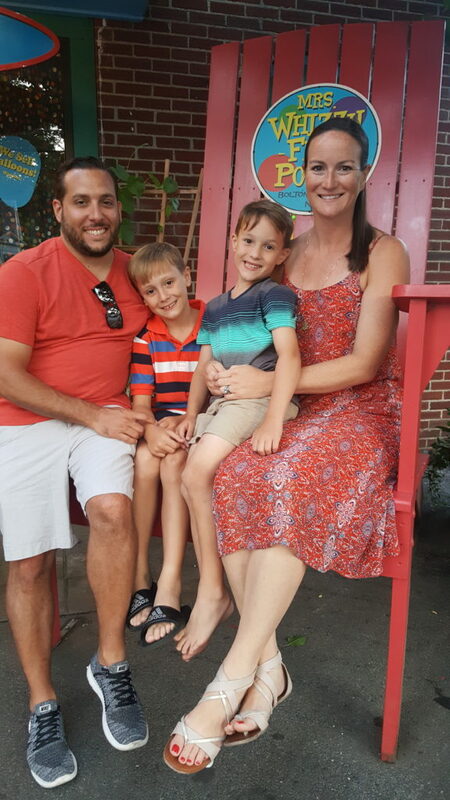 But Amanda Gizzi isn’t just raising a family— she’s also growing and supporting an industry. 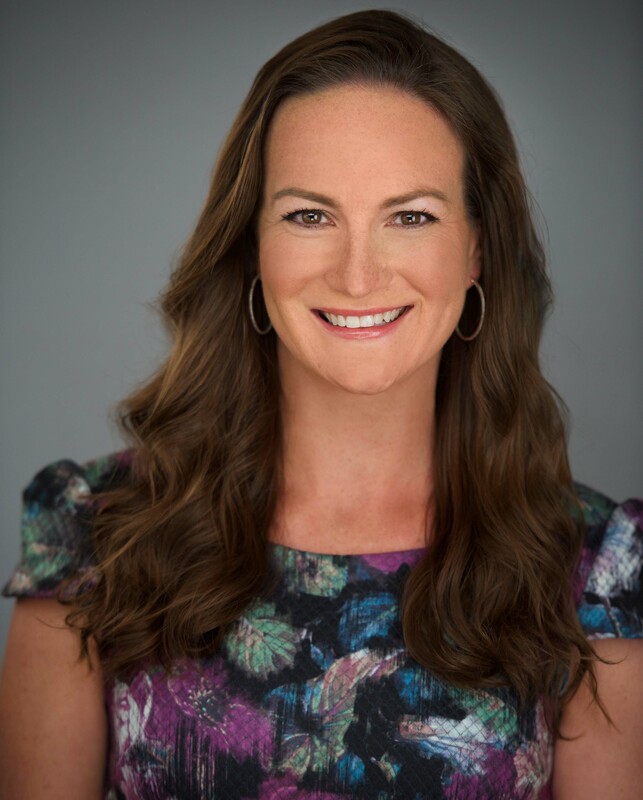 As the director of public relations and special events for Jewelers of America, Gizzi works around the clock promoting its members in an effort to help them shine their brightest, and in turn, strengthening an industry that continues evolve. Oh, and did we mention? She also happens to be the president of the Women’s Jewelry Association, New York Chapter. 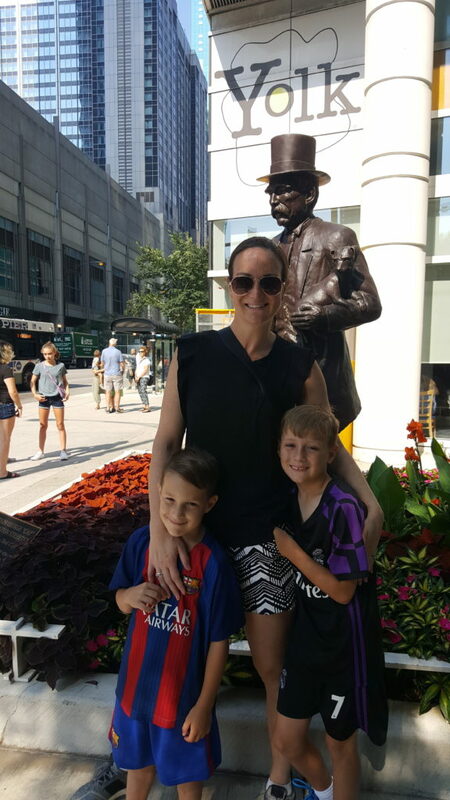 Below, we talk to Amanda about having it all: How she best prioritizes and balances work and home life, without sacrificing career goals or precious family time. Here’s how she does it. Team Ayva: Give us a quick overview of how you got into the jewelry business. Amanda Gizzi: Over 16 years ago, I replied to an ad in The New York Times (the paper version!) for a non-profit organization looking for a PR person. During the interview I was asked if I had a love for jewelry. I explained that while I didn’t come from the jewelry business, my grandmother had been supporting it for as long as I could remember. She had always loved and appreciated fine jewelry. As a young woman, I would go to her house before school dances and she would pull out sapphires, amethysts, diamonds, and other stunning pieces of jewelry for me to borrow. Her love for jewelry was passed on to my mom and then to me. Thankfully, the interview went well. I started working at Jewelry Information Center in August of 2001 and have been with Jewelers of America ever since. TA: Additionally, what has been the course of your career path in the industry—from where you started, to where you are now? AG: Public relations has changed immensely over the course of my career. Staying current and being ahead of the change has been essential. I have been lucky to work with supportive bosses throughout my tenure. I continue to set lofty goals for myself and for Jewelers of America. They see my vision and trust me to do what it takes to achieve my goals. I am constantly challenging myself by thinking about new and better ways to service our members and help the industry. 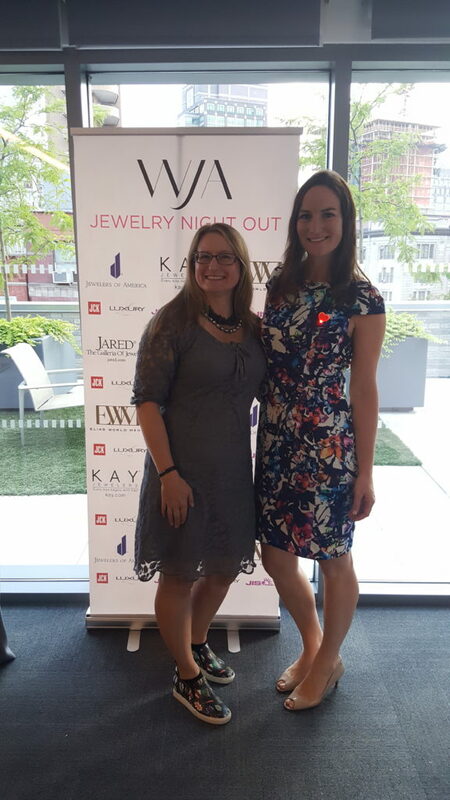 Every year, I set goals to try something I haven’t tried and learn something new about jewelry and our industry. TA: How many children do you have, and what are their ages? AG: I have two sweet boys. Alexander is 8 and Joseph is 6. TA: Describe what a typical (business) day looks like for you. AG: I am up at 5:45 a.m. and on the train by 6:30. My 1.5 hour morning commute is usually spent working. I think best in the morning and my train ride gives me the greatest opportunity to write, brainstorm, and organize my day. Once I am in the office, it is non-stop until I leave. Working in PR and running events means that I don’t have a typical day—each day brings new challenges and opportunities. I work with a rock star team at Jewelers of America, and being part of a great team is when I always feel the most rewarded. Some days, I spend large chunks of my day dealing with press requests while others are spent planning TV segments, GEM Awards, member events or Editor Events. I sprint out the door and run (literally) to the train where my work resumes. We work very hard every day, but we try to make it fun. We work in a great industry, one that makes products that bring people joy. I also know that this industry is a family and we have to work our tails off to protect it and make it a thriving industry for the next generation. 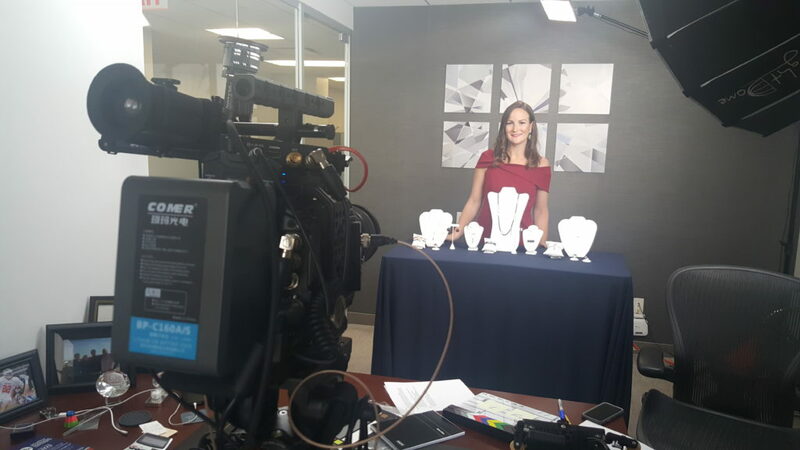 When I am getting media requests or promoting the work of our members, I remember that with each positive story in the press, there are thousands of people who are being influenced to think about jewelry. TA: How have children changed the way you work? What effect has their getting older made on your day-to-day and overall career goals? AG: Having children has made me ten times more efficient. I don’t have the luxury of staying late at work every day. My husband gets the kids off to early care but I have to be back on the train to get them out of aftercare before it closes at 6. I don’t work less than I did before kids, I work smarter. Having children forced me to look in the mirror and analyze what I wanted from life and my career. That analysis uncovered that I wanted it all. However, I knew I had to shift my current mindset. I was lucky that my bosses have realized that I don’t need to be in the office 10+ hours a day to get my work done. I work 3 hours during my commute and work in off times when needed. Shutting off my computer and being present for my kids at night is also essential. It’s all about finding balance. TA: How have your career priorities changed since having children? AG: They haven’t. How I work has been modified and I have to be smarter with my time. I love my career and love being a mom, and I can do both well (although it doesn’t always feel that way). I have zeroed in on the essentials for both my career and home life. Yes, it can be heartbreaking when your kids want you to be class mom and you know you can’t be or when they don’t want to go to aftercare every day. We all remind each other how lucky we are to have our life together and that we all do the best we can each day. I work extra hard to be there for the things that matter, like school parties, soccer practice, games, and even dinner time. That is why I don’t give up my evenings at home very often. I don’t attend as many parties or evening social functions as I did before I had children. That is where I find my balance. I go ninety-five miles an hour during the day so I can be home when I need to be home. TA: On any given day, what are the biggest challenges you face at work? AG: Time. There just isn’t enough of it. I set very high goals for myself and my team. I always say that I am my biggest challenge. I like to do everything but sometimes you have to let go and focus on one project at a time and set realistic expectations. Realistic expectations lead to fewer disappointments. TA: What keeps you grounded? AG: Being the President of WJA-New York Metro Chapter has helped keep me grounded. I love being part of my incredibly talented board and helping to create events and programs for the men and women of our chapter. Taking on this full-time, yet volunteer, position has helped me prioritize and call on others for support. WJA has given me my most fruitful relationships within the industry. I am inspired by the women who paved the way for other women like me to be able to be a successful working mother. Every member of WJA is supportive of one another and would do anything to help others succeed. I am truly grateful for my time with WJA and can’t wait to keep watching it grow and expand as the industry evolves. TA: Do you talk to your children about your career? If so, what do you tell them, and what do you hope they will take away from it? AG: Since my kids were 3 months old, they have been spending full days at daycare and now school and aftercare programs. And you know what, they are great kids. They are balanced and grounded. My husband and I both talk to the kids about our careers. We talk to them about the rewards of hard work and finding something you are passionate about. My kids, even though they are young, understand that we go to work not only to pay the bills but also to be fulfilled. I hope that they see that even though I can’t be class mom or pick them up from school each day, I do my best to be at what matters for them. Their eyes light up when they get to see me on TV or when we talk about jewelry. My youngest selected a gemstone book from his book fair—that made my heart burst with pride and joy. TA: How do you juggle your professional life with personal? We’d love to hear your tips on achieving a balance. AG: Learn the power of saying “no”. I am still working on this but have found that when used sparingly, it holds the power to life balance. Naturally, I am a “yes” person. I would do anything for almost anyone. However, being stretched too thin isn’t good for anyone. Whatever you are doing at the moment, be present. If you are at work, be present. If you are home, be present. As soon as I had my kids, I realized that I had to set expectations for those around me. Knowing they knew what to expect from me helped me find balance. Sure, there are nights and weekends when you need to get work done and your kids want to play and that is okay. However, most nights, I try to put the phone down during the very short window I have with them. I force myself to be in the moment and the reward is finding joy in the little life moments. TA: What advice would you offer to new moms or moms that are also professionals in any industry? AG: Know what your priorities are and set your goals accordingly. Take a deep look at your beliefs and determine what you need to be happy, balanced, and successful. Don’t be afraid to ask for what you want. For me, I truly believe that I can have it all. However, I may need a village from time to time. In college, my volleyball coach always used to tell us to imagine that we were balancing plates on sticks. We had to keep spinning them all and giving them all individual attention at the right intervals or else they would come crashing down. Keep spinning each plate and you keep the plates in the air. You got this. TA: What helps you to unwind? AG: I am not very good at unwinding! I tend to go all in until I fall asleep. However, nothing is better than reading books with the kids at the end of the day. I live for those moments. Date nights with my husband—although rare—also refuel me. TA: What is your mantra? AG: Always look at the bright side of life. It takes just as much energy to be negative as it does to positive. Don’t spend your energy on things you can’t change but fight like hell for the things and people you believe in. TA: What quote(s) do you live by?